Lights, camera, action! 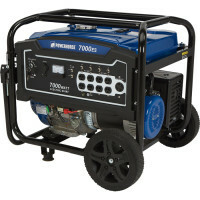 Nothing will give power to your party quite like our 7k generator. This big boy will bring to life your inflatables in any location! Also perfect for powering up concession machines.